To continue to be pioneering in our approach to new solutions, and to stay ahead of the changing needs of the forestry and certification industries, we are committed to further engaging Indigenous Peoples in our work, looking for and implementing new ways to take care of forests, and providing a platform for dialogue to ensure our work includes the voices of all our stakeholders. Protecting the rights of those that live in and around FSC certified forests, and engaging them in our work is as important to us as taking care of the environmental aspects of forests. As an example, we turn to our Australian colleagues: FSC Australia launched its Reconciliation Action Plan to commit to engaging and respecting Indigenous rights in the practice of responsible forest management. This was done in recognition of the fact that as the nation’s original stewards of the land, Aboriginal and Torres Strait Islander peoples had historically maintained the health of Australia’s forests; and continued to perform this role through their unique knowledge of and continuing connection to lands, waters, and communities. The 9th meeting of the committee took place from 13-15 June 2017 in Bonn. Topics discussed included preparations for the FSC General Assembly with a specific focus on the guidelines to ensure free, prior and informed consent in FSC operations; a study on conflicts between the Mapuche people and forest businesses in Chile; and the implementation of a motion that sought to develop a forest certification standard that met the realities of Indigenous Peoples and traditional communities. We’ve engaged small forest owners – or smallholders, as we call them – and forest communities for many years. Through this engagement, we’ve brought about 170,000 hectares small forests into the FSC system. At the same time, we’ve learned a lot: specifically, we’ve learned that smallholders and communities must be involved in drafting the standards that regulate the certification of their land. And this is how a new programme, New Approaches to Smallholder and Community Certification, was born. Regional meetings in Tanzania, Finland, Lithuania, Latvia and Thailand engaging smallholders and other stakeholders in discussing challenges and solutions. A draft categorization of African smallholders. Three capacity building workshops and one calibration workshop in Africa. The Mesoamerican Forum, hosted in Guatemala to promote market access for FSC certified forest products from smallholders and communities. Participants from Mexico, Guatemala, Costa Rica, Honduras and Nicaragua attended. Workers’ rights have always been one of the pillars of our scheme. In 2017, we strengthened our approach even further by introducing stronger rules on abolishing child labour and forced or compulsory labour; eliminating employment discrimination; and recognizing the right of workers to organize, negotiate voluntarily, and bargain collectively. Although these factors have always been part of FSC certified forest management, their place in FSC was strengthened in August, when the international Board of Directors approved generic criteria and indicators, valid for all parts of FSC certification, based on the principles of the International Labour Organisation’s (ILO) Core Conventions and the ILO Declaration on Fundamental Principles and Rights at work (1998). At our general assembly in 2014, our members voted in favour of ensuring FSC protects the world’s remaining natural forests, or ‘intact forest landscapes’ (IFLs). 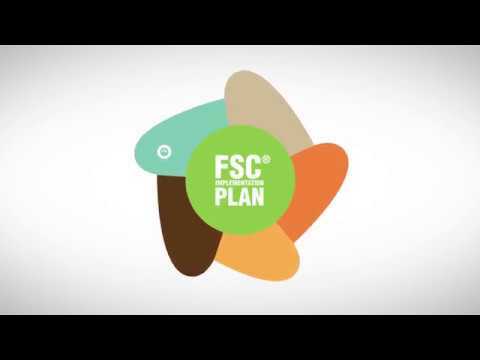 The motion will be implemented through the FSC national standards in countries with IFLs. As a first step, valid from the beginning of 2017, we put in place guidance that outlined ways in which certificate holders could minimize destruction of these precious landscapes. The year ended with the addition of international generic indicators for intact forest landscapes being approved by the international Board of Directors. FSC Canada, working together with Indigenous communities, environmental NGOs, and government succeeded where most other initiatives have failed. The new caribou indicator in the new FSC Canada national standard will have a meaningful impact for the conservation of intact forest landscapes in Canada’s boreal forest. This represents a historical breakthrough for responsible forestry in the 21st century. Our international standards need careful and thorough adaptation by country-based national standard development groups to make them locally relevant. In 2017, national forest stewardship standards were approved for 11 countries. A public consultation was conducted on the first draft of a revised pesticides policy. The draft proposed to phase out the current derogation system. It also incorporated environmental and social risk assessments to reduce the use of chemical pesticides; and prevent, minimize and mitigate related environmental and social impacts. Two working group in-person meetings were held in Brazil (10-14 April) and Lisbon (11-14 December). In Central Vietnam, hundreds of smallholders are joining forces to produce FSC-certified acacia used in outdoor furniture around the world. Forest and mountain are our home, it is where our ancestors and we live, where we hunt and will teach our children how to hunt.